Plantation, Florida, June 01, 2017 (GLOBE NEWSWIRE) — Once again, The Bahamas Ministry of Tourism is offering boating enthusiasts the adventure of a lifetime. A convoy of boats, under the leadership of seasoned mariners, will depart Fort Lauderdale, Florida on June 8, 2017 to kick off the highly anticipated Bahamas Boating Flings. These Boating Flings will begin in June and occur each weekend concurrently throughout the month of July and climax on July 27-30, 2017. Boaters will journey across the Gulf Stream and passage through translucent blue waters to behold the beauty that is The Islands of The Bahamas. Certainly these adventures do not ensue unaccompanied by some education of how boating has helped to shape the identity of these islands. Each trip is lead by an au courant captain who gleefully shares such information. Senior Manager, sales and marketing-Bahamas Tourist Office and host captain, Richard Treco has been leading the passage for more than 30 years. “I like to give these folks a glimpse of the islands through my eyes. I’m their captain and their guide. We have to make sure they have the most authentic experience we can provide,” says Treco. Bahamian Boating Flings have been successful for over 20 years and this year will be no exception. The Islands of The Bahamas have boasted an average of about 10-20 boats per fling, maxing out at times with more than 30 boats. 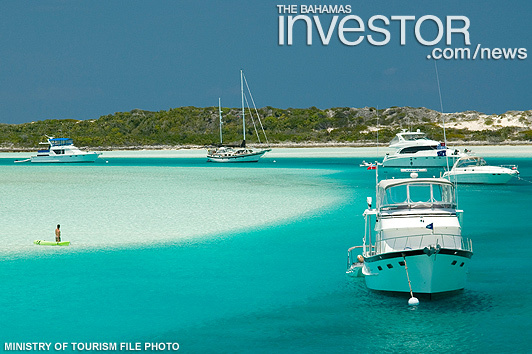 Bahamian Boating Flings have been successful for over 20 years. The Islands of The Bahamas have boasted an average of about 10-20 boats per fling, maxing out at times with more than 30 boats. Registration has already begun and participants are encouraged to register now as spots are reserved on a first-come, first-serve basis. 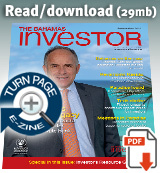 For more details on registration fees, and other information, please visit Bahamas.com. It is recommended that interested persons attend a Captain’s Meeting at the Bahia Mar Hotel in Fort Lauderdale, Florida. Meetings are held on the Wednesday prior to each Fling and begin promptly at 6:30 pm. What could be more captivating than this kind of opportunity to explore the islands in such an exceptional way? The open ocean, some experienced captains coupled with more curious novices, a few boats of course mixed in with some Bahamian sun, sand and sea make for theultimate ocean road trip.